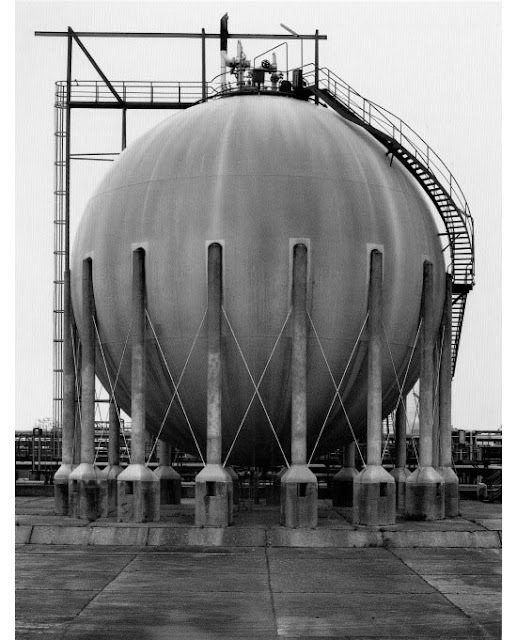 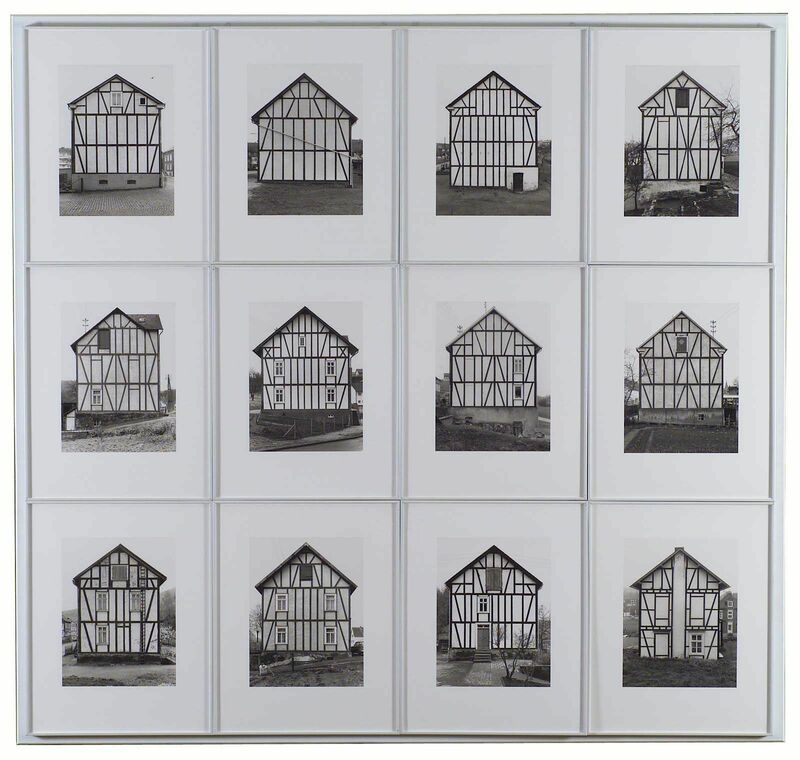 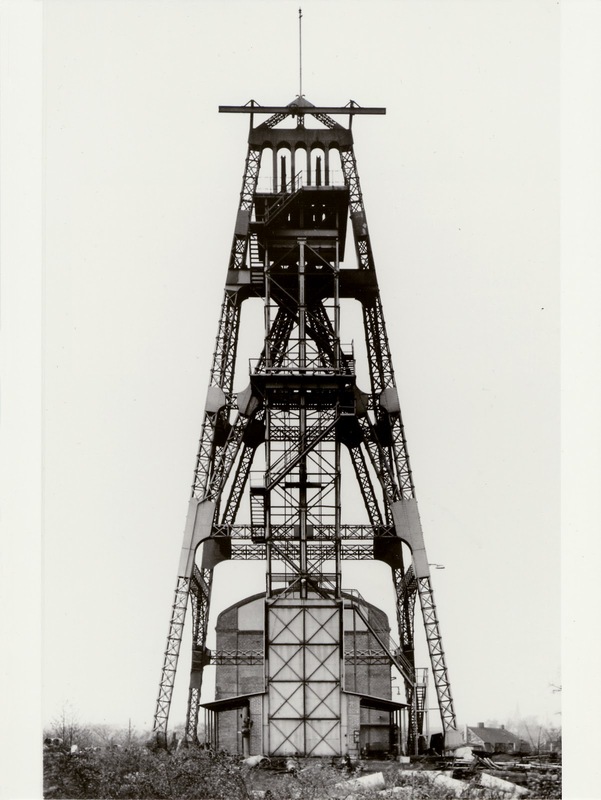 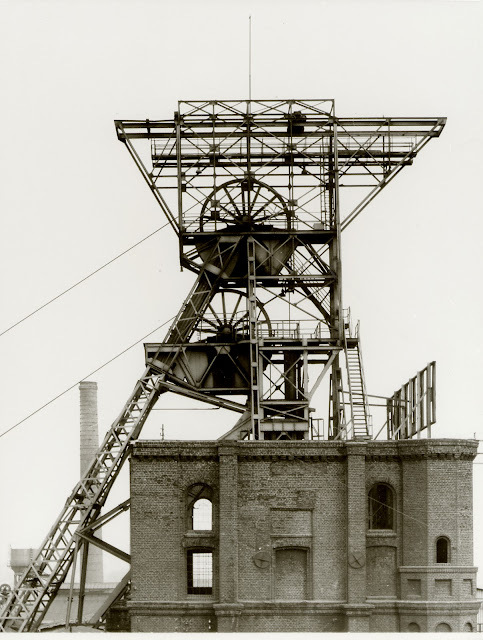 Bernard "Bernd" Becher (August 20, 1931 – June 22, 2007), and Hilla Becher, née Wobeser (born September 2, 1934), were German artists working as a collaborative duo. 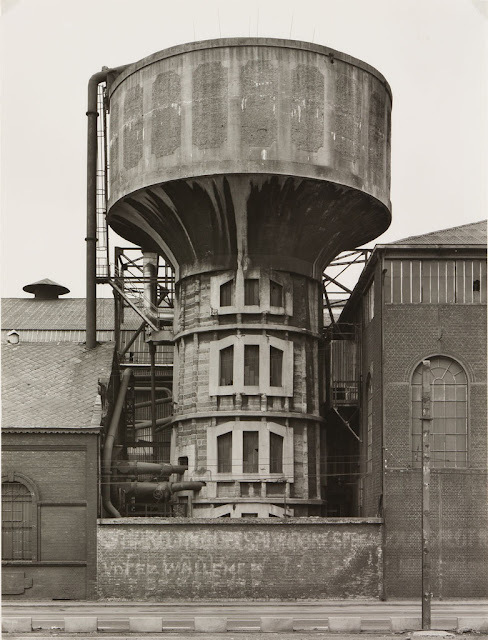 They are best known for their extensive series of photographic images, or typologies, of industrial buildings and structures. Meeting as painting students at the Kunstakademie Düsseldorf in 1957, Bernd and Hilla Becher first collaborated on photographing and documenting the disappearing German industrial architecture in 1959. 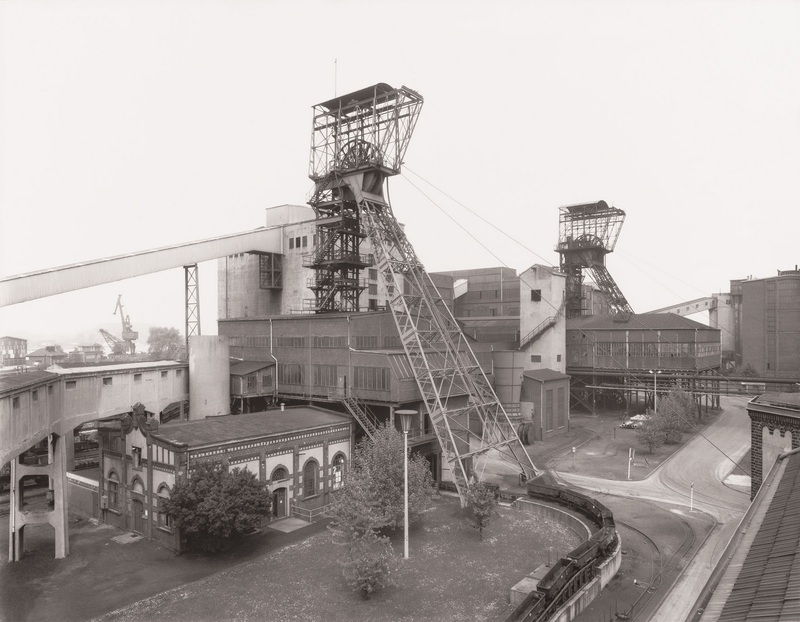 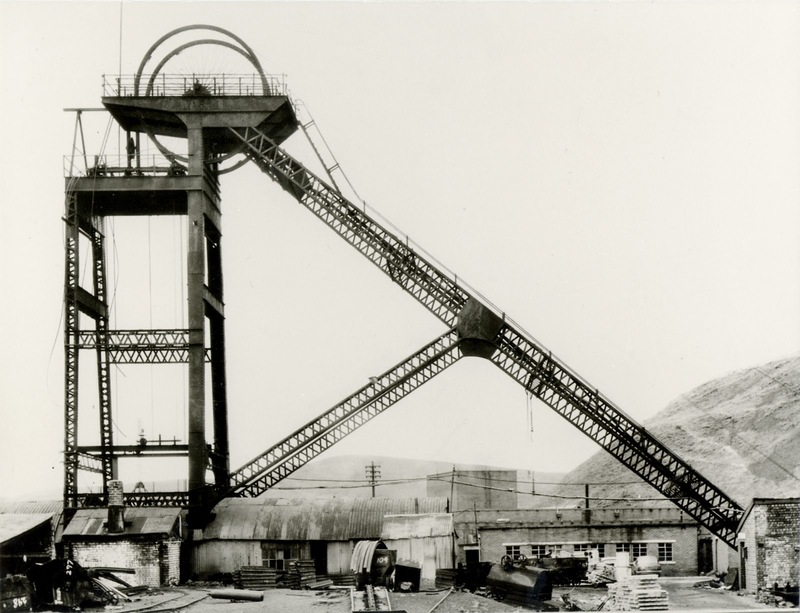 The Ruhr Valley, where Becher’s family had worked in the steel and mining industries, was their initial focus. 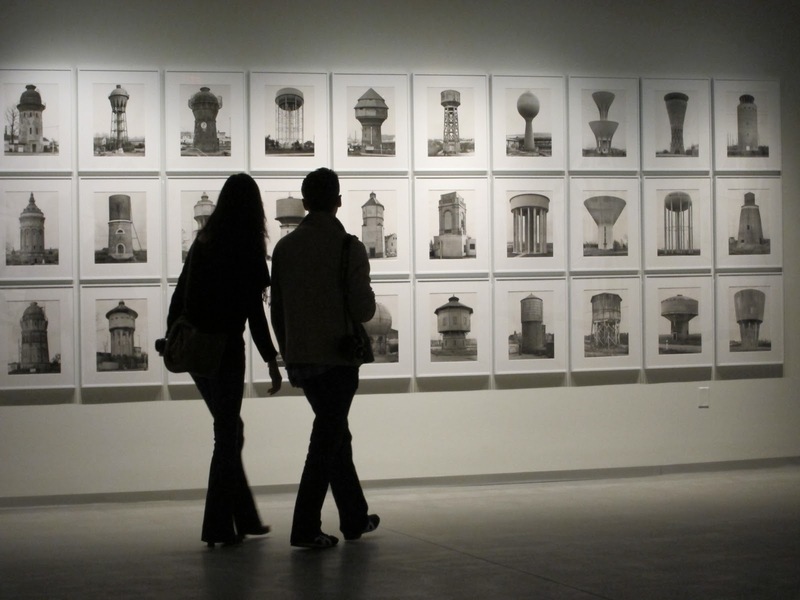 They were fascinated by the similar shapes in which certain buildings were designed. 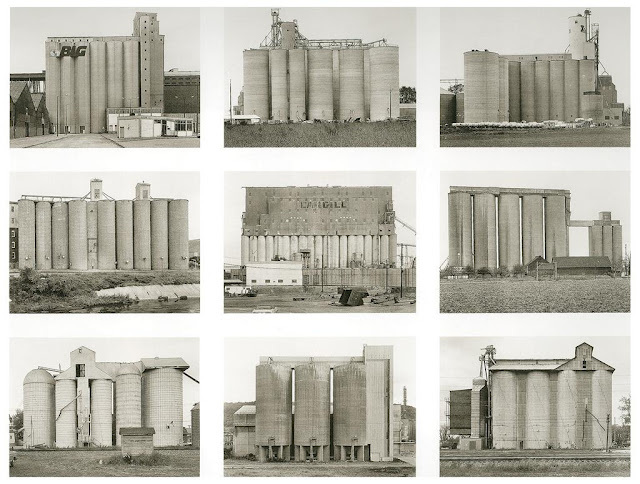 In addition, they were intrigued by the fact that so many of these industrial buildings seemed to have been built with a great deal of attention toward design. 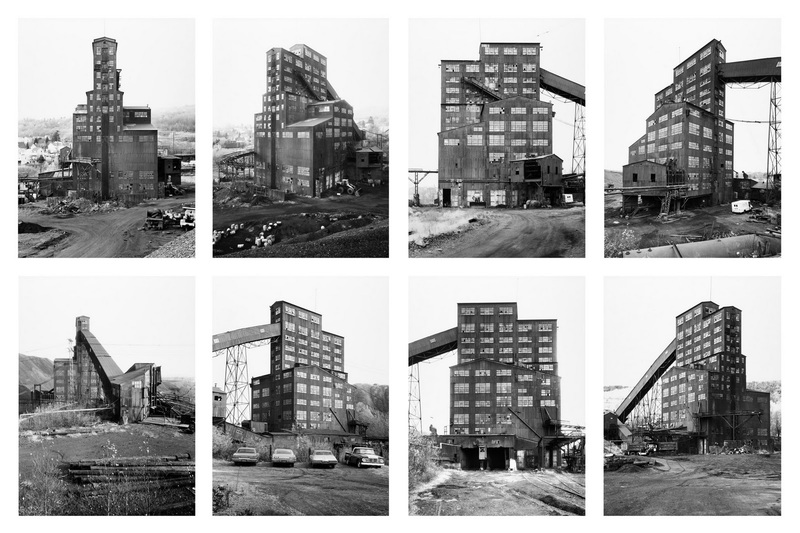 Together, the Bechers went out with a large 8 x 10-inch view camera and photographed these buildings from a number of different angles, but always with a straightforward "objective" point of view. They shot only on overcast days, so as to avoid shadows, and early in the morning during the seasons of spring and fall. 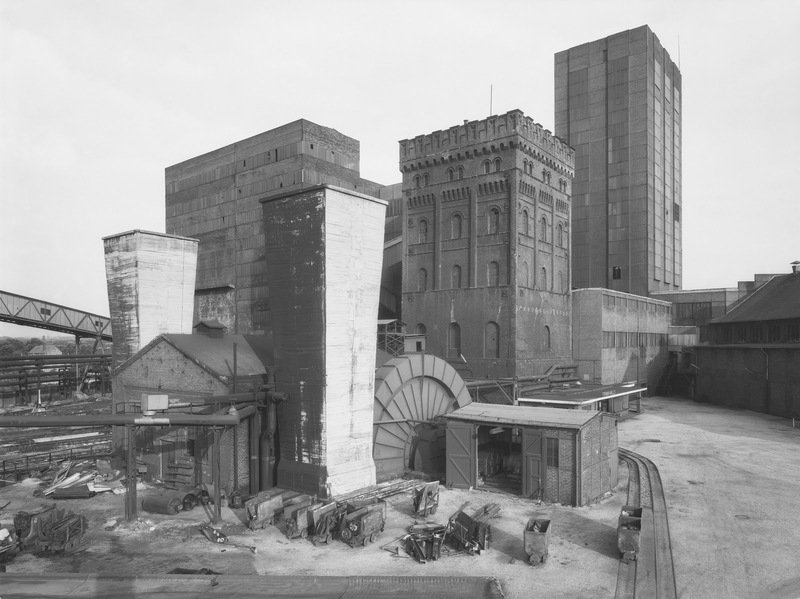 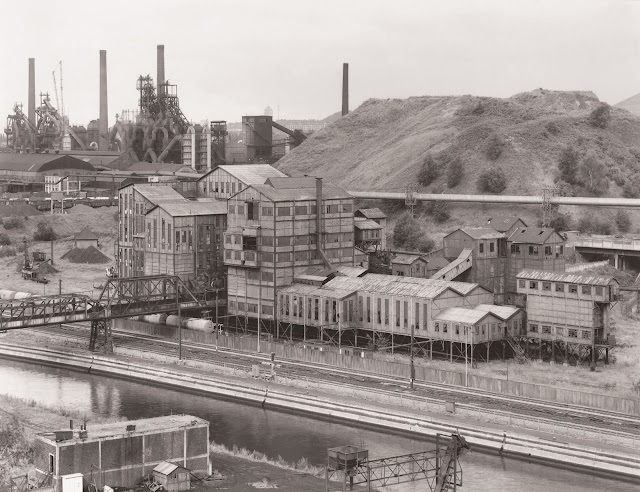 Objects included barns, water towers, oal tipples, cooling towers, grain elevators, coal bunkers, coke ovens, oil refineries, blast furnaces, gas tanks, storage silos, and warehouses. 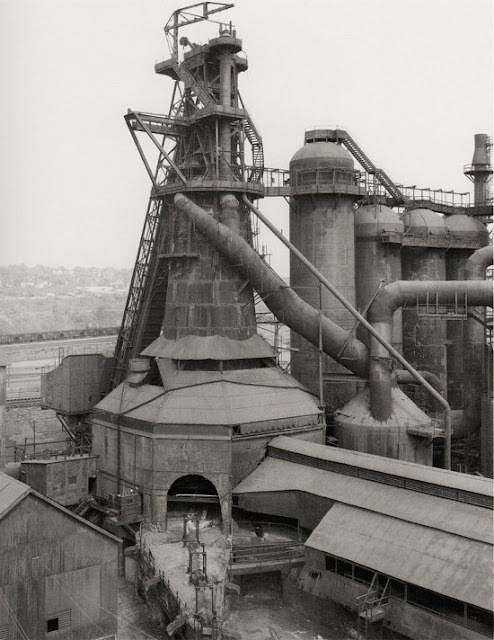 At each site the Bechers also created overall landscape views of the entire plant, which set the structures in their context and show how they relate to each other. 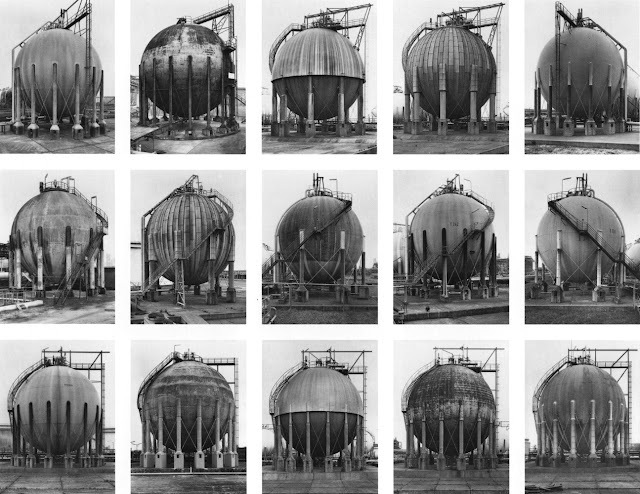 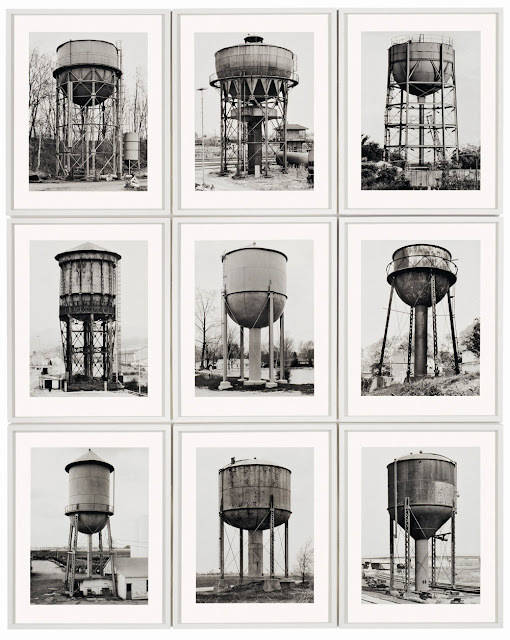 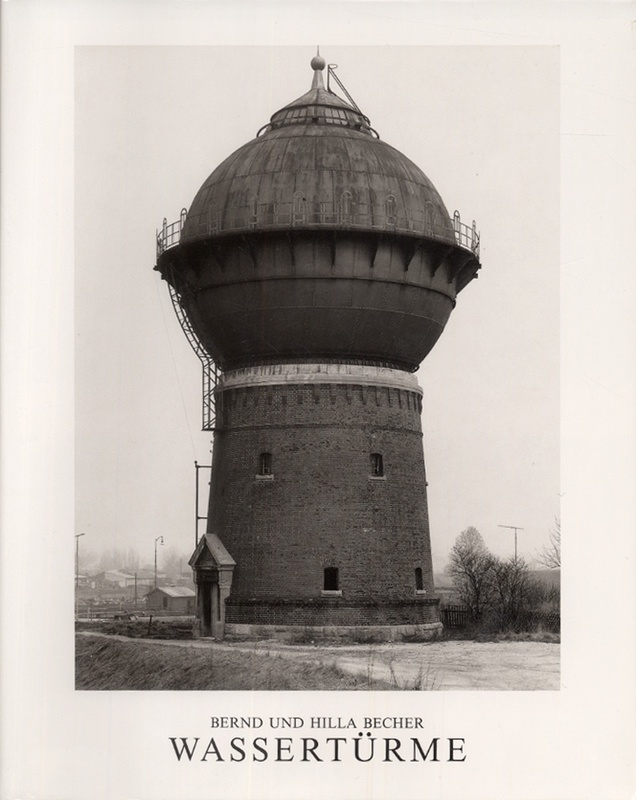 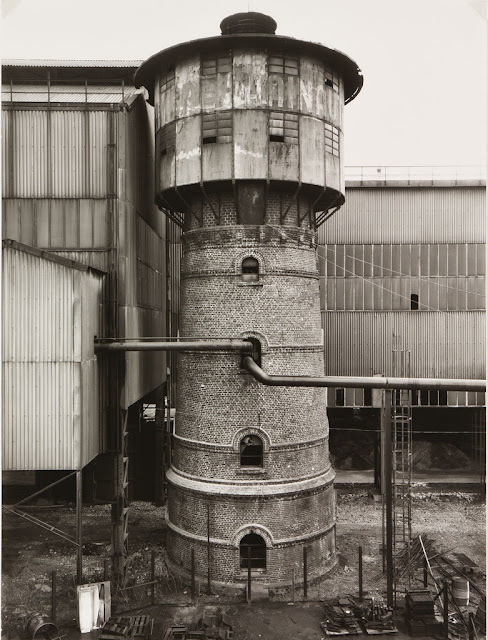 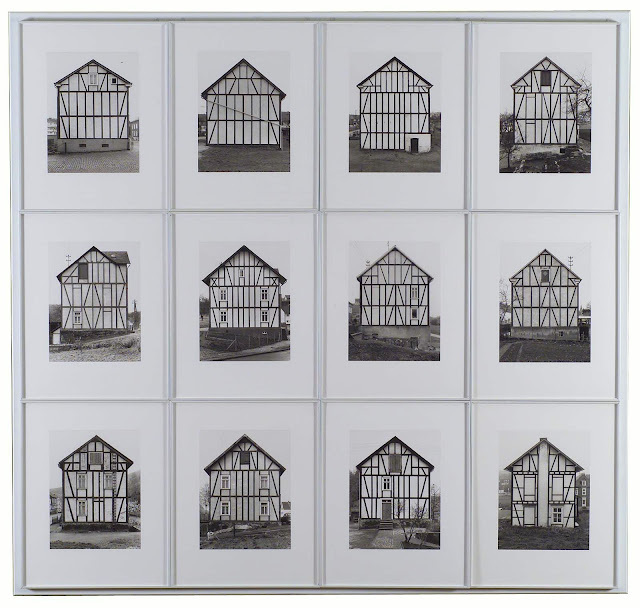 Bernd and Hilla Becher are among the most influential artists of our time. For more than forty years they have been recording the heritage of an industrial past. 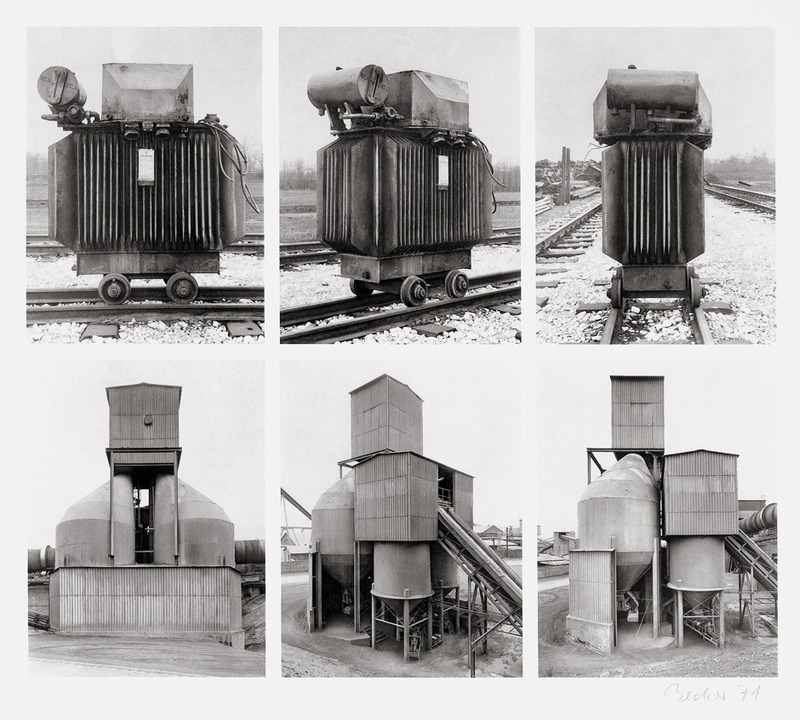 Their systematic photography of functionalist architecture, often organizing their pictures in grids, brought them recognition as conceptual artists as well as photographers. 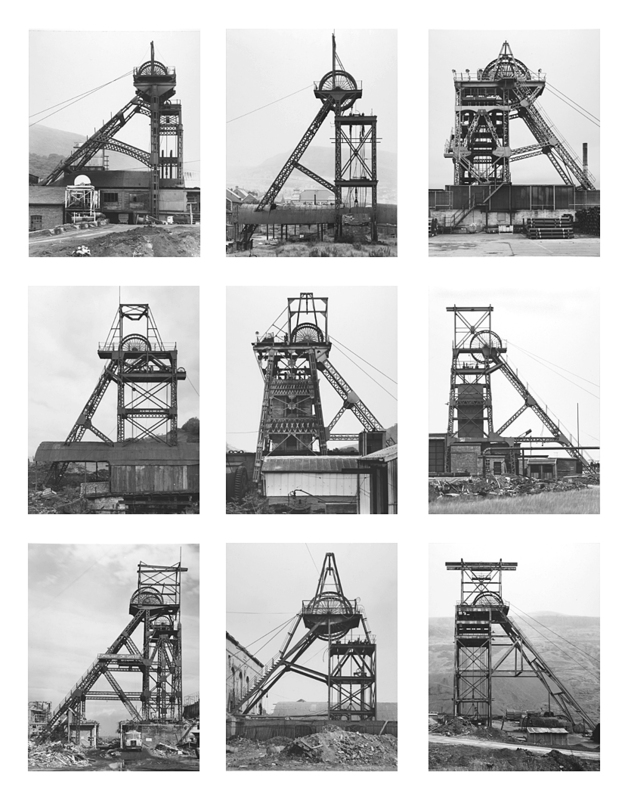 As the founders of what has come to be known as the ‘Becher school’ they have brought their influence in a unique way to bear on generations of documentary photographers and artists. 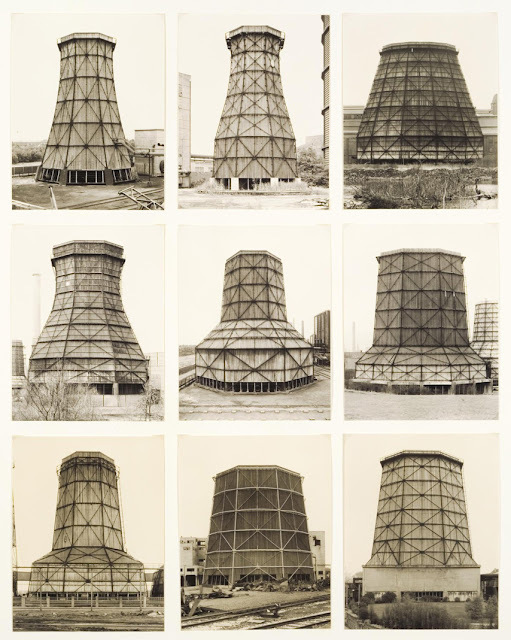 The Becher school has influenced a number of (mainly) German photographers including Andreas Gursky and Canadian photographer Edward Burtynsky.